Featuring two Muay Thai bouts and 12 mixed martial arts matches, “ONE: Eternal Glory” took place at the Istora Senayan in Jakarta, Indonesia. 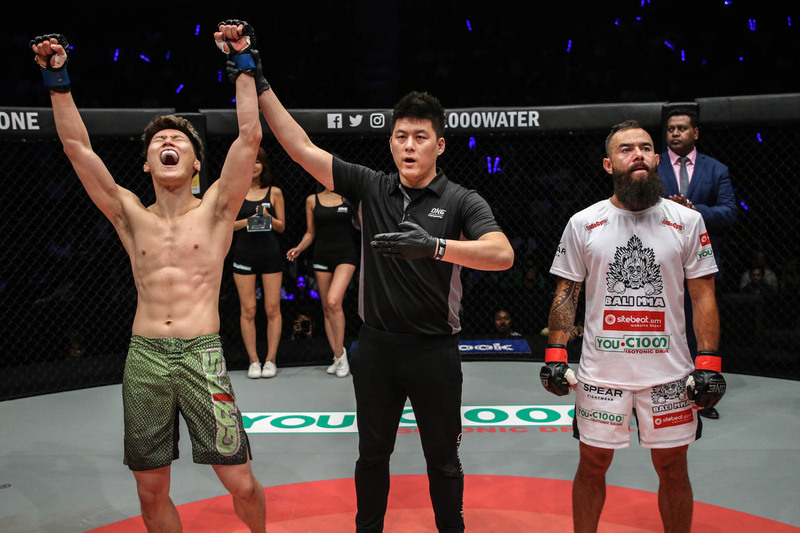 In the fifth bout of the evening, Kwon faced Anthony “The Archangel” Engelen, 33, of Netherlands and Indonesia in an MMA match in the featherweight division. Engelen managed to land a low kick to Kwon’s right knee. The Indonesian-Dutch contender also tried to drag his South Korean opponent to the mat. But early in the opening round, Kwon pushed the action and utilized his reach advantage to land a well-timed right jab that stunned and dropped Engelen. The South Korean fighter pounced on his Indonesian-Dutch opponent who was grounded and put on the finishing touches to end the bout. Referee Kemp Cheng put a stop to the contest after 1 minute and 7 seconds in the first round. Kwon knocked out Engelen via strikes. Winning at “ONE: Eternal Glory” improved Kwon’s professional MMA record to 6 wins and 0 loss. He ended the two-bout winning streak of Engelen, who now has 8 wins and 5 losses. Kwon has been competing professionally since 2014. Before joining ONE Championship, he competed in DEEP, Gladiator, Top Fighting Championship, Universal Reality Combat Championship and NeoFight. Including Indonesia, the Netherlands and South Korea, 14 countries were represented at “ONE: Eternal Glory.” Engelen represented both Indonesia and the Netherlands while Kwon was the only fighter who represented South Korea. Brazil, China, India, Italy, Japan, New Zealand, the Philippines, Russia, Singapore, Thailand and the United Kingdom were also represented at “ONE: Eternal Glory.” Check the complete fight card here.